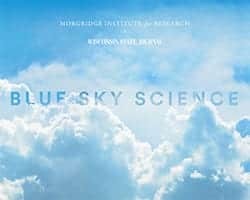 News & Stories > Blue Sky Science > Why is it difficult to predict which flu vaccine will be most effective? If you get some diseases, like smallpox or polio, and survive, you are immune to those viruses for the rest of your life. The aim of a vaccine is to give you that immunity without giving you the disease. The process is pretty straightforward for smallpox and polio, because the viruses that cause those diseases don’t change very much over time. Other viruses, like influenza or HIV, mutate very rapidly. The immune response from a vaccine needs to cope with this level of variability in the virus. At the moment, our vaccines for the flu give you an immune response that’s very effective but highly specific. Predicting the right type of flu to arm against is the key, because the immune response is not good at dealing with changes in virus structure that influenza can get through mutation. There’s a process to design flu vaccines that starts 18 months ahead of our flu season. Scientists get together in Geneva and try to decide: of all flu strains infecting people today in the world, which ones are likely to be most common 18 months from now when the flu season happens? Sometimes we predict right and sometimes we predict wrong. Viral evolution is difficult to understand. We’re usually pretty good at explaining why a virus evolved in the past, but that doesn’t mean we can take a situation today, play it forward 18 months and predict with 100% certainty how virus evolution is going to happen.